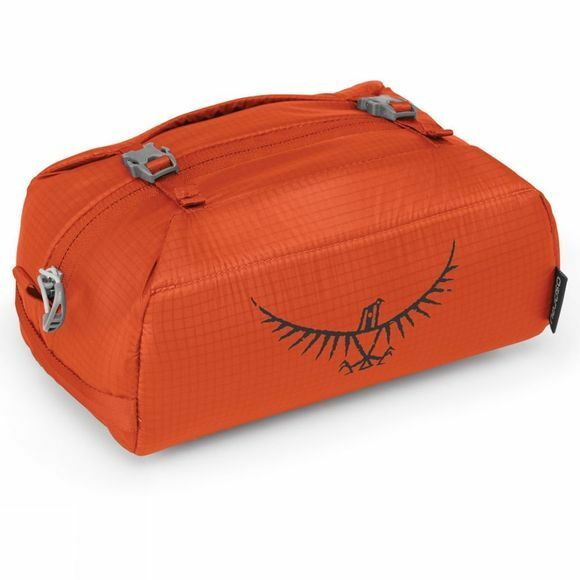 Osprey have taken the light, padded StraightJacket compression design from their trekking packs and applied it to a simple, zip-entry washbag. As well as protecting your kit from knocks and bangs, the padding wraps smoothly around the contents when you tighten the straps, leaving you with a neat little bundle to pack. The foldover design also means you can pop your travel towel under the straps, while the grab handle makes it easy to haul from the bottom of a well stuffed duffle bag.